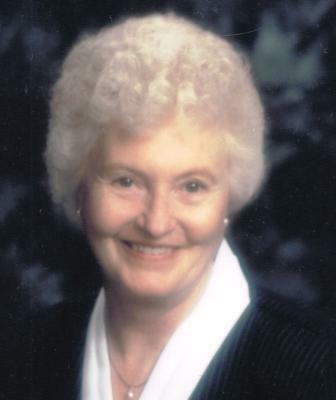 Maurine Daisy Corbett (nee Heising), of Kamloops BC, passed away after a valiant effort to recover from emergency heart surgery, on Feb 20, 2017 at the Royal Inland Hospital, at the age of 81 years. Maurine was born in Portland, Oregon on January 28, 1936. She is survived by her husband of 64 years, Robert Leland, her children Delilah (Michael) of Baynes Lake, BC, Bob (Kim) of Ft. St. John BC, Pam (Brad) of Cranbrook, BC, Mary Ann (Brian) of Baynes Lake, BC and Dell (Barb) of Grand Mira, Cape Breton, 12 grandchildren and 10 great grand children. She is predeceased by her parents, Harry and Vesta Heising (nee Blake) and her brother Frank. Maurine grew up in the Culver, Oregon, area, spending most of her time on the Three Rivers Ranch, until she and Bob were married in Culver, where they lived until moving to a ranch in Little Fort, BC in 1956. In 1961 they moved to Westsyde, BC, where she lived until her passing. Although, she was an avid quilter, gardener, photographer, and loved camping and exploring the outdoors, her love of her family and time with them was paramount. There was always an open door and an extra chair at the table for visitors. She was a gracious and welcoming hostess to her many friends and extended family. She attended church services and enjoyed church activities. Maurine had a loving heart and quietly went about sharing her generosity and compassion without asking or expecting recognition for her efforts. There will be a celebration of Maurine’s life on March 25, 2017 at Westsyde Fellowship Church at 1:00 pm. In lieu of flowers, donations can be made to the Heart and Stroke foundation in honour of Maurine. Our deepest condolences, We are in complete shock. Our deepest condolences to you. Maurine touched so many lives (some without her even knowing it) and is greatly missed! Kamloops will not be the same for us now that Maurine is not there. A smiling face and open arms were always there to greet us – and even the offer of a bed. She and Bob worked together in many ways, including helping Ed and I in the office when we were in a crunch time. Love you, Maurine. Praying for God’s arms to surround Bob and the family during these days. Always a big smile and an open door greeted you at Bob and Maurine’s. Her love of life and kind heart and spirit will be missed by all who knew her. We are blessed to have been among that group. Dear Bob and family, We are saddened to hear of the passing of your dear wife, mother and grandmother, Maurine. Remember that she is free and with our Lord. and her sparkling smile she shared here on earth, will continue for eternity. Through the pain of loss, their is still so much hope. It was very surprising to hear of Maurine’s passing. She was so full of life and spark at my Dad’s funeral not even a year ago. I understand what you are going through and hope you all are doing okay. She will always be a part of who we are. I have many fond memories of growing up as neighbors. I was in shock today when I heard Maurine had passed…my heart goes out to the whole family, I understand your pain and loss. She was an amazing woman and although many, many years have passed since she was in my everyday life, I am thankful to have known such a loving, kind and graceful lady that she was. I pray that she and my parents had a wonderful reunion at heaven gates. Take comfort in knowing her spirit will be with you always.